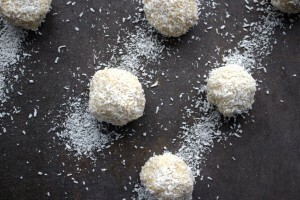 Ah, white chocolate bliss balls. You are my weakness. Think decadence, richness and yet still healthy! 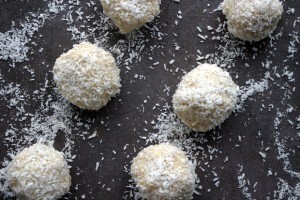 I came up with these when I was thinking of more ways to incorporate white chocolate into SCD snacks. After some testing and developing, these white chocolate bliss balls were born. Tough life for my husband and daughter being the chief testers! 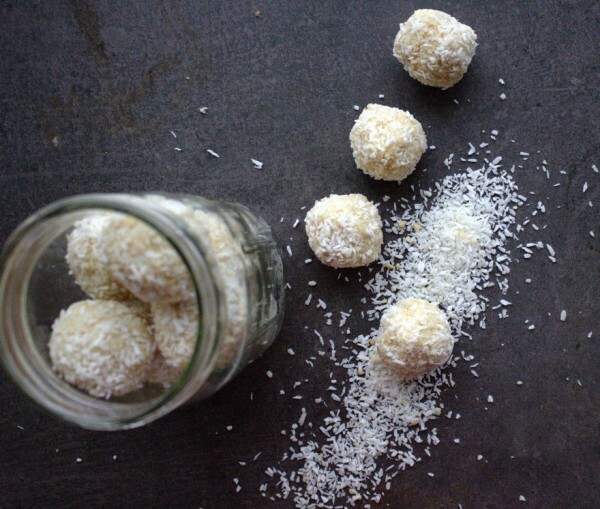 If you follow my blog for a while now, you’ll know that white chocolate (in the form of cacao butter) is allowable on the Specific Carbohydrate Diet (SCD). It’s a good thing too since cocoa powder is not SCD legal. A girl has to live, right? You can substitute the hazelnuts for other nuts in the recipe and they will still be delicious. I have a bit of an obsession with hazelnuts at the moment. Not only do I love their taste, but they are really good value too. 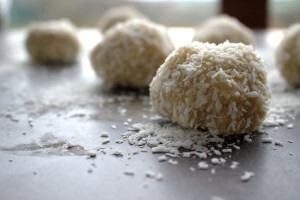 I love almonds and I always will but I am always conscious of overdoing any food. Everything in moderation as they say! If you have a little person in your house, this is the perfect recipe for them to help. My daughter especially wanted in on the rolling action! If you do intend giving them to children to eat, make sure to ground the nuts really finely. Either way, they’ll taste great. 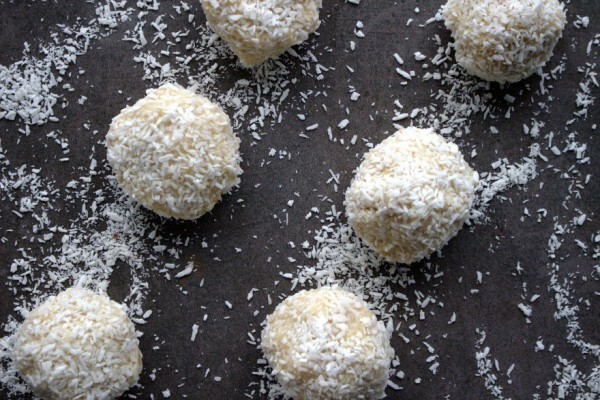 White chocolate bliss balls are a great snack to have on hand for when you need a (healthy!) sugar rush. Having prepared SCD snacks in the house at all times means I don’t cheat and eat something I shouldn’t. 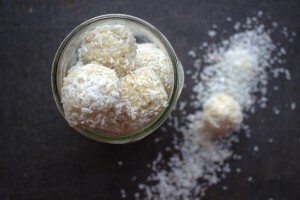 I keep these in a mason jar in the fridge and they’re good for up to a week. As with most snacks in my house, they don’t last anywhere near as long as that. If you like these, you’ll love my white chocolate biscuit cakes, white chocolate cups and Easter chocolates!